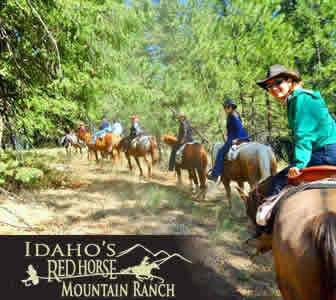 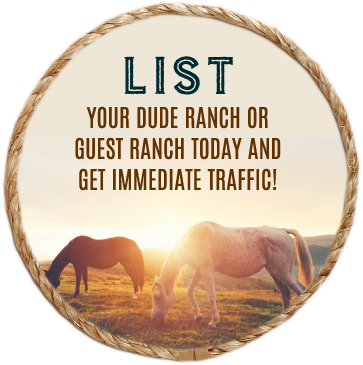 If you have a dude ranch for sale or a guest ranch for sale, you will get great traffic from having it listed here at Guest Ranches of North America. 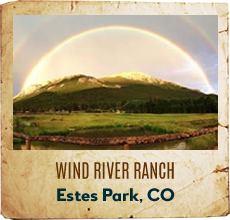 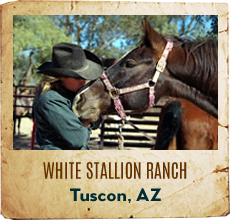 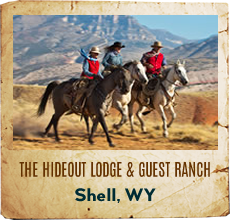 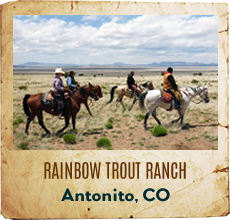 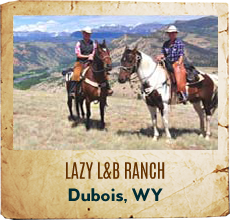 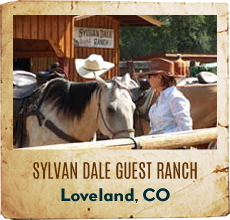 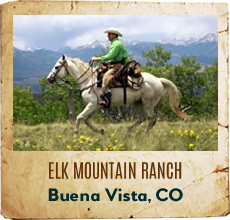 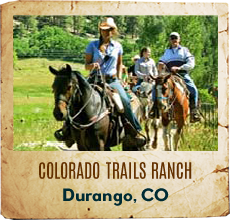 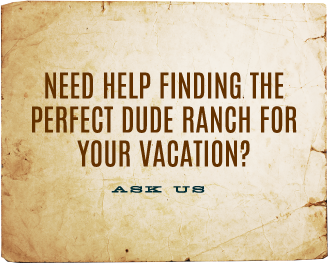 Please contact us about listing your dude or guest ranch for sale today. 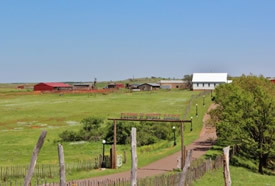 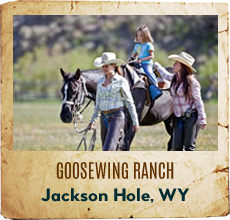 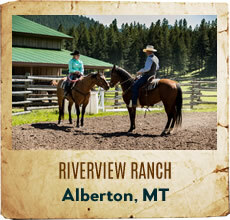 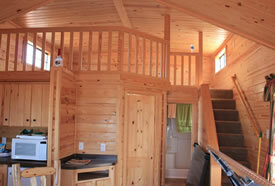 The Flying W Guest Ranch property includes over 2,000 acres of great cattle country. 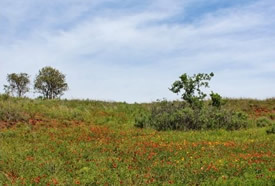 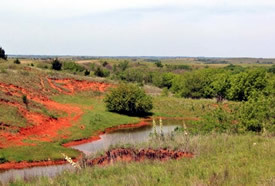 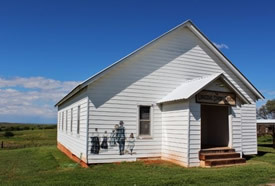 It has been home to cattle, Texas longhorns, buffalo and many types of wildlife including deer, quail, wild turkey, beaver, porcupine, dove, and armadillos, just to name a few. 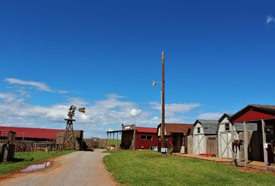 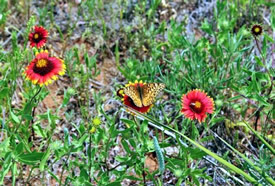 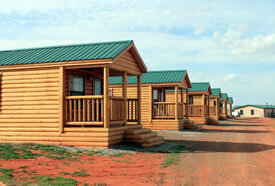 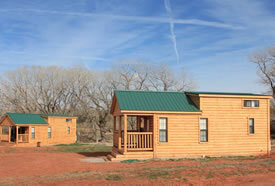 The Flying W Guest Ranch is located directly on the famous “Route 66” half way between Oklahoma-City and Amarillo-Texas. 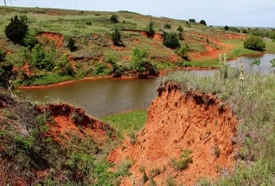 Prized by native plains Indian tribes for their hide and meat, the largest buffalo kill site on the Southern Plains occurred more than 2,300 years ago. 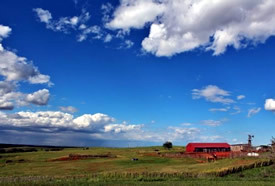 Archaeologist have been working the site since 1992 and it's still being excavated every summer. 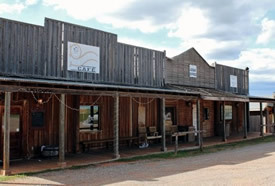 The property includes 10 beautiful new log cabins; the Sassy Cafe, a General Store and a complete western town of buildings.